“We commend the Food and Drug Administration for releasing arsenic data on more than 1300 samples of rice and rice products. This data, similar to ours, underscores the importance of dealing with the long-term health effects of arsenic exposure in the food supply. We share the agency’s recommendation that consumers should diversify the grains in their diets. We’re particularly pleased that while the FDA conducts a risk assessment and takes appropriate next steps, it is giving advice to consumers, especially the most vulnerable populations, including pregnant women and children, that will help limit their arsenic exposure.” says Dr. Urvashi Rangan, Director of Consumer Safety and Sustainability at Consumer Reports. “Our review of the FDA’s results shows they are comparable to those in our 2012 study, and in some cases the levels found by the agency were higher than ours. This was true in the case of rice beverages used as milk replacement, which underscores Consumer Reports’ advice that children under the age of 5 should not have rice drinks as part of a daily diet. Rice drinks are not a good nutritional substitute for cow’s milk, and in the United Kingdom, children younger than 4.5 years are advised against having rice milk because of arsenic concerns,” adds Rangan. In September 2012, Consumer Reports released the results of its own analysis that found varying levels of arsenic in more than 60 rice and rice products. 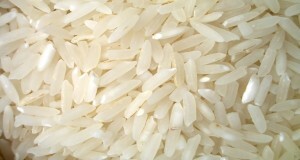 The findings prompted the organization to ask the FDA to adopt standards for rice and rice products that take into account rice consumption levels, especially those of the most at-risk populations. In addition to FDA’s important advice for consumers released today, the following table highlights Consumer Reports’ advice on ways to limit consumer’s exposure to arsenic in rice and rice products. The table below includes consumption advice for rice and rice products, whether or not they are white or brown-rice based. ** Consumer Reports recommends that children not consume rice milk on a regular basis. To create this chart, Consumer Reports used its own findings and the latest available science to offer consumers advice on how to reduce risk from exposure to inorganic arsenic, which is known to have concerning, chronic health effects. For infants, children and pregnant women, risks maybe heightened. Arsenic risk is based on cumulative exposure over a lifetime. The recommendations are based on a person eating just one type of product per day or per week over a lifetime. If people exceed these limits one week, they can cut back the next. Reducing arsenic in foods and beverages – like rice and juice – is important to help limit exposure to this known carcinogen. While arsenic may occur naturally, human activities continue to contribute to arsenic contamination of soil and water, which can then enter the food supply. Arsenic toxicity is not dependent on its source. This important step by FDA today should prompt a renewed focus on the need to reduce arsenic pollution in the environment, which comes from the use of arsenic based compounds in agriculture, practices used in agriculture, as well as other sources. Consumers Union, the public policy and advocacy arm of Consumer Reports, urges FDA to expeditiously complete its risk assessment of arsenic in rice and rice products, and to set a standard for arsenic in rice.